Do you have a business, upcoming event, or group that you would like to promote or support? Maybe you're starting a new business, have a special milestone birthday celebration, or a special sports team or school event. A colorful vinyl banner is the perfect way to get noticed and make a statement! Cheap, affordable and durable personalized banners are available for any occasion through Banners on the Cheap! You can easily design and buy customizable vinyl banners online in just a few simple steps. They offer the lowest prices, fast shipping and friendly customer service. 1. The quality - Our banner was printed on thick, durable vinyl that will stand the test of time - indoors or outdoors! Our banner will be used often, and the quality will allow for it to be used for years to come! 2. The colors - The colors and graphic were outstanding! They were bright, bold, and exactly what we were looking for. We used our new vinyl banner for the first time this weekend at the opening wrestling tournament, and we received numerous comments from both parents and wrestlers. 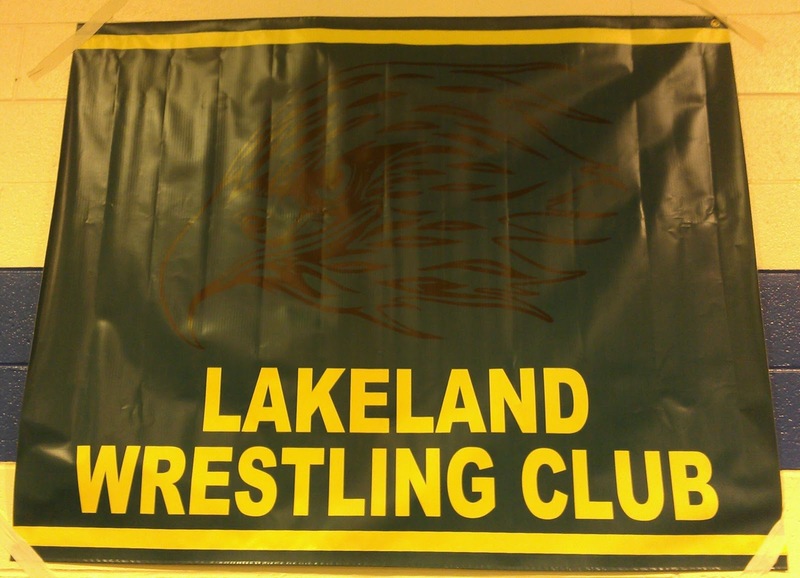 Our new team banner looked great hanging up on the wall and really caught everyone's eye. I hate to brag, but our club had the best banner at the tournament - hands down! Banners on the Cheap offers a wide selection of vinyl banners that are great for business use, personal use or special occasions. Every banner has the option to be professionally hemmed and grommeted, making them very durable and easy to display. Advertising banners, birthday banners, party banners, sports banners, wedding banners, retail/sales banners, political banners, and so many more options... the possibilities are endless! They create custom vinyl banners for every occasion in your life. You can also choose the size that is just right for you, starting as small as 2'x2' all the way up to 10'x3'! Whether you're looking for vinyl banners, car magnets, yard signs of photos on canvas, you can find them "On the Cheap!" This giveaway will end November 12th at Midnight EST. Disclaimer: I received a complimentary vinyl banner from Banners on the Cheap for the purpose of writing a review and hosting a giveaway. Regardless, I only recommend products or services I use personally and/or believe will be a good fit for my readers. The views and opinions expressed on this blog are purely my own. Results may vary. No monetary compensation was received. I'd get the for sale real estate banner. There's a blue Happy Birthday banner with balloons on the top and bottom. I'd get that for my grandson's birthday. I'd get one of the birthday banners for my sons 1st bday. Birthday Banner for my son!!! I would make a Welcome Home banner for my husband to hang when he comes home from deployment. Birthday banner for my daughter and nephew! I would choose the Personalized Photo Banner and start from scratch! I would make a custom banner for my son's school. I would like to make a birthday banner to my son.